The Oinkari Basque Dancers perform a traditional hoop dance during the annual Basque Picnic. On a cooler afternoon and evening then we have seen in weeks the community of Mountain Home came together at the Historic Basque Park on Aug. 4. 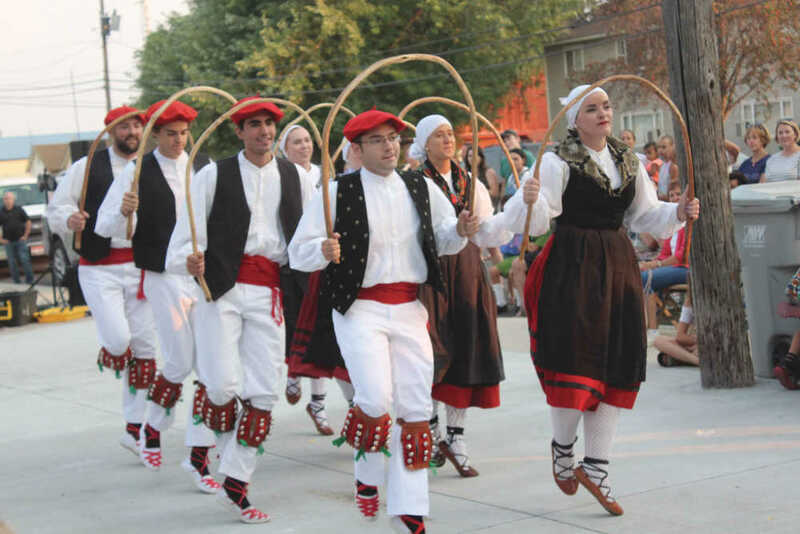 Each August people converge on the park for a day of festivities celebrating the Basque culture. Though many in the crowd can trace their ancestry back to the old country in the Basque region that encompasses portions of Spain and France the picnic has became a tradition for all of Elmore County whether of Basque heritage or not. The Euskal Lagunak Inc always puts together a memorable night for the crowd. The 2018 picnic was the 58th annual event and did not disappoint. For the full story, pick up a copy of the Mountain Home News or click on this link to subscribe to the newspaper's online edition.